I saw this at a local thrift store this week and loved the label. It’s just a ceramic canister and far too busy for my kitchen, so I didn’t buy it, but I couldn’t resist sharing it with all of you. 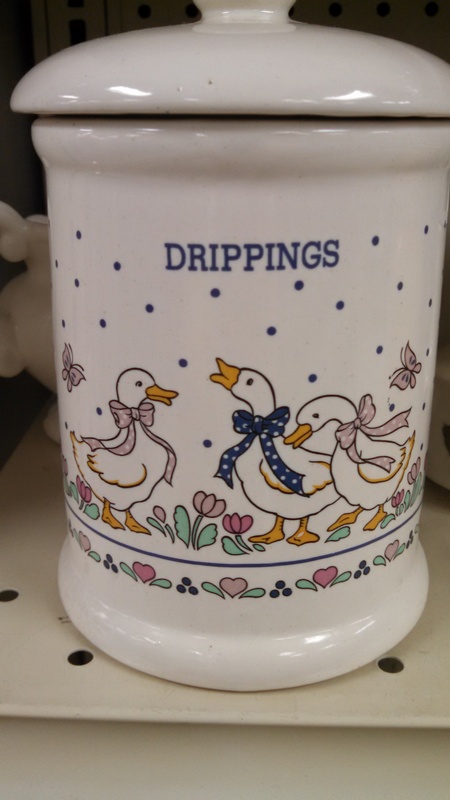 This entry was posted in Finds and tagged Canister, Drippings. Bookmark the permalink.